“Zizanio” means a plant growing where it is not wanted and which also means the frisky, naughty children. Question : What formats can you use for projection if my film is selected? We screen exclusively from DVDs. For video, we screen either 4:3 or 16:9 aspect ratios. Question: I shot my film on my cell phone’s camera mode. Is it eligible for entry? YES! We are not at all concerned about production format and we are interested in all kinds of “experimental” and innovative works. Question: My film was released five years ago. Is it eligible for entry? We screen many films from earlier years. Filmmakers are encouraged to submit films from earlier production dates that have not received significant exposure in Greece. We are always looking for suggestions for our annual special screenings. Question: If I send a self-addressed stamped envelope, will Camera Zizanio return my preview DVD? Without exception, we do not return preview tapes or DVDs. Question: My film was accepted for screening at the competition section of upcoming Camera Zizanio. Will the festival cover my airfare or gas money to Pyrgos? At this point, Camera Zizanio DOES NOT provide travel or lodging for attending filmmakers. Camera Zizanio DOES provide All Access Festival Passes, panels and more as well as accommodation, breakfast and one meal per day, during the whole week of the festival. Invitation of the filmmakers will depend on available budget. Question: My film is accepted for the next Camera Zizanio film festival. When will it be screened and how many times? 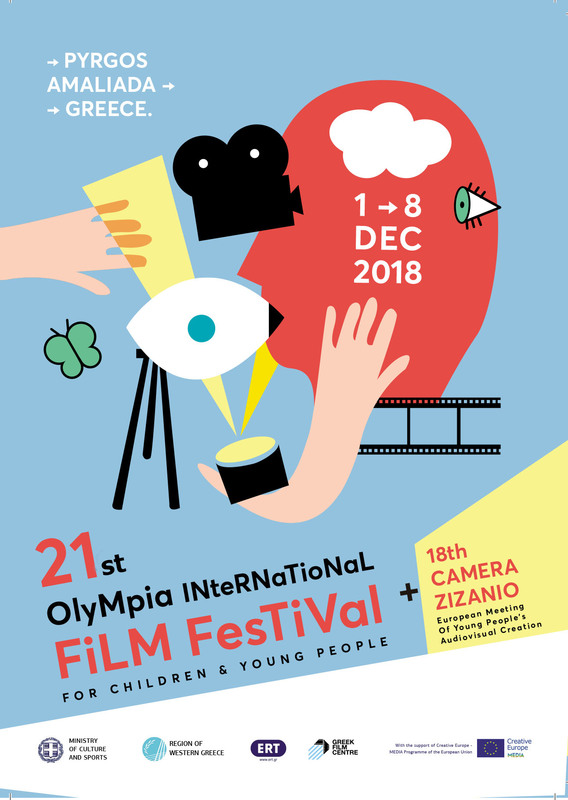 It will be screened sometime during the week of the festival in December, one screening only, unless it wins one of the three competitive categories, in which case it will screen again at cine Filip in Athens one week later. The full schedule of screenings will be released in November. When a film screens at Camera Zizanio, it is the only film screening at that time. All films are screened at the Ilia Prefecture Conference Hall in Pyrgos. Question: Which is the nearest airport? And where is Pyrgos located? The nearest airport is El. Venizelos in Athens. Pyrgos is located in Western Peloponnese, near Ancient Olympia. And the distance from Athens to Pyrgos is 300klm, but it’s a trip with nice scenery with seaside. Question: As soon as I’ll arrive to Athens, how will I be transferred to Pyrgos? At the day of your arrival, we’ll arrange your transportation to Pyrgos. And will also arrange your transportation from Pyrgos to Athens, at the day of your departure. That’s why we ask you to send us precise information about you trip (date, time, flight number of you arrival / departure).